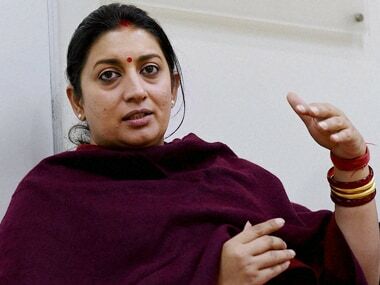 Amethi: Attacking Rahul Gandhi on his home turf, Union Minister Smriti Irani on Sunday questioned the alleged sale of land meant for a bicycle factory here to a trust run by his family but the Congress dismissed her "land grab" allegation as "wild and baseless". 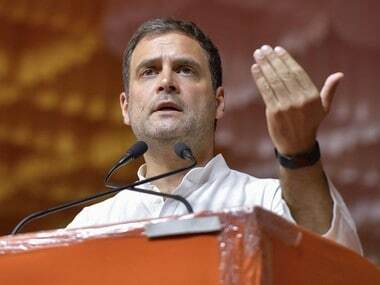 Calling the Congress Vice President a "liar", the BJP leader, who was addressing a rally here, claimed that Gandhi family had failed to deliver on their development promises to Amethi, which had to wait for all these years to get a rail line. She claimed that 65 acres of farmers' land, which was acquired for setting up Samrat Bicycles factory, was sold to Rajiv Gandhi Charitable Trust on February 24 this year. "Narendara Modi is not a liar but Rahul is. 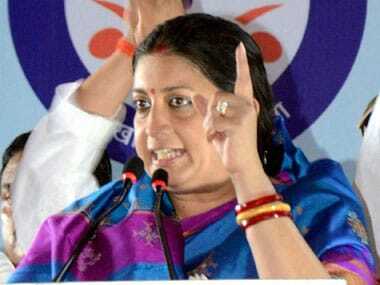 Grabbing 65 acres of farmers' land in Amethi is a proof of it," she said. "65 acres of farmers' land was acquired for (bicycle) factory in the 80s. Did the factory come up, did anyone get job, what happened to the land? "No one can dare to speakbut it is on stamp paper. The land was bought by Rajiv Gandhi Trust." Hitting out at Rahul Gandhi, Irani later told reporters that the Congress Vice President has been saying on land bill that he will not let anyone take an inch of farmers' land. "He is indicating perhaps that that he wants to take the land for himself. The documents are in public domain," she said. Terming the allegations as "absolutely wild and baseless", Congress spokesperson Abhishek Singhvi said, "I don't understand the connection between the closure of Samrat bicycles and the purchasing and auction under court orders." He said it showed "utterly irresponsibility" that a Union Minister should have levelled such allegations. In her address, HRD Minister Irani took potshots at Rahul over his attack on Prime Minister Narendra Modi, saying "reading a 1.5 minutes address and talking about suit-boot is easy, but why does he shy away from open debate. If he can debate for one and a half hour, it will come to fore who is right and who is wrong." "Instead of taking Modi's name, Rahul should think about road, education, employment and other issues. Our struggle in Amethi will continue till Gandhi family is ousted from here," Irani said claiming that the work which Congress failed to do in 60 years was done by BJP in past one year. "Gandhi family has been promising a railway line in Amethi since three generations. Even though the Congress has not been able to do anything, today I can say with pride that in the last Rail Budget, the budget for the railway line from Sultanpur-Amethi Unchahar has been accepted for the firt time under the leadership of Narendra Modi," she said. Targeting Rahul, she said, "Wo bolte hai, kuchh karte nahi (He only makes promises but does nothing)." 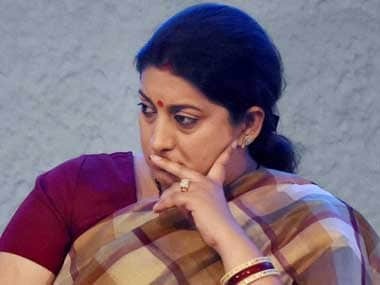 "But we keep our promises," Irani, who unsuccessfully contested the last parliamentary polls from Amethi against Rahul, said and listed out development works under Modi government.